Nearly 66 million American women are in their 50s and 60s, and many of them make annual incomes of at least $100,000. Yet many feel ignored, because so much attention is still paid to the young. Yes, certainly retailers and brands should cater to Millennials, but they also should recognize the spending strength of older women -- or risk leaving money on the table. Here are four ways to connect. They’re brand-savvy, accomplished and have $15 trillion in purchasing power. So why are America’s 50-plus women feeling ignored? Despite being more independent, self-sufficient and financially secure than any generation before them, they feel like brands and retailers continue to turn a blind eye to their needs. Our How America Shops® research shows that more than half of Gen X and Baby Boomer women combined, which includes those in their 50s, have annual household incomes of more than $100,000. By comparison, just 14% of Millennials earn as much. Yet even if the spending power among these demographics were equal, the $100,000 they earn is not equal, because each spends it differently. Mature women in particular have more discretionary income to spend on beauty, apparel, travel and health, amongst other categories. So while it is necessary to continue catering to Millennials, retailers and brands should not lose sight of other demographic groups, especially older women. To not see them is to risk passing up trillions in spending. She Has So Much to Offer. Why the Disconnect? According to a recent Forbes story, citing data from the U.S. Government Consumer Expenditure Survey and Nielsen, women who are 50 and older control 95% of household purchasing decisions. More than 80% will try new brands, and 75% are willing to pay extra for quality and convenience. Women in this age group also represent the fastest-growing consumer cosmetics segment, the story states, with 44% seeking to improve their look. 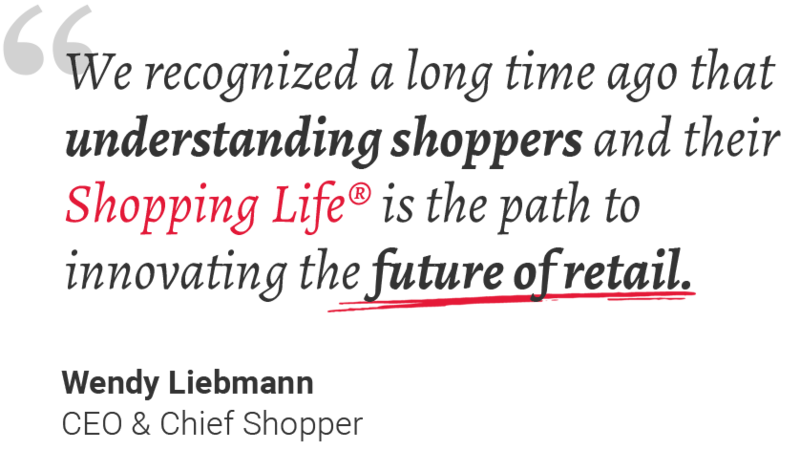 This is reflected in our How America Shops® report, Benchmarking the Future. Overall, it finds, roughly 67% of Gen X and Boomer women are spending the same and at least 15% are spending more on cosmetics, matching or outpacing their younger brethren. Apparel: Nearly half of Gen X and Boomer women (47% and 51% respectively), purchased apparel in physical stores in the past year. Among Millennials, 36% bought apparel in-store. Online, only 11% of each demographic purchased clothes. Wellness: Roughly 92% of older women purchased personal care products in-store, while 86% of Millennials did. Online, that figure drops to about 7% and 16% for older and younger shoppers. You get the point – the spending prowess of older women is substantial and definitely still often done in physical stores. The brands that understand the long-term value of this mature shopper include L’Oréal Paris, which recently launched a “golden squad” campaign featuring actors 50 and older, including Helen Mirren, Jane Fonda and Julianne Moore. Cover Girl is featuring 70-year-old Maye Musk as one of its TV spokesmodels. And in 2017, New Zealand’s Lonely Lingerie made headlines for featuring a 56-year-old model. Still, too many brands and retailers aren’t including older women in the shopping conversation, and by not doing so risk losing their real financial contributions to retail and the overall economy. So how do address the issue, and the opportunity? Represent her: Women in their 50s frequently buy many of the same products as women in their 20s and 30s. They should see themselves in your products. Include older women in your marketing, in-store displays and communications — not just in imaging but also consistently in messaging. Treat her with respect: Recognize her age, but don’t define her by years. Many women in their 50s are professionally accomplished, intelligent and discriminating. They will switch to brands that demonstrate they understand her preferences, motivations and spending abilities. Give her something fresh: Retailers and brands should view their shopping experiences from older eyes as well as young, with an understanding that while 50-something women may want the same results (better nutrition, a good-fitting pair of jeans) their ambitions are different. A 55-year-old woman may want a leather jacket to wear on vacation to Italy, not for clubbing. And one warning: A misled or scorned shopper could be more influential to others than a happy one, so don’t take the older woman for granted. Mature women have gained lots of shopping experience and are less likely to put up with inauthenticity. Silver hair in a campaign won’t alone convince older women that a brand cares for her needs. Deliver on the promise. And keep on delivering. Remember, In addition to living better, today’s 50-plus woman is living longer.